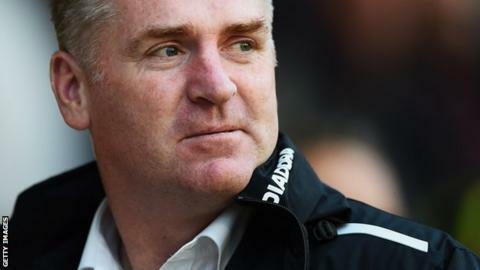 Brentford have appointed Walsall manager Dean Smith as their new boss. The 44-year-old leaves the Saddlers fourth in League One, after nearly five years in charge, and will succeed Dutchman Marinus Dijkhuizen. "We believe Dean is exactly the authentic and strong leader we need to take Brentford forward," co-director Rasmus Ankersen said. Smith's assistant Richard O'Kelly will also join the Bees, who have paid compensation for the pair. Dijkhuizen was sacked on 28 September after just eight matches in charge. Lee Carsley has since been in interim charge, and takes Monday's game at Bolton, but he will leave the club at the end of next month. Dean Smith was the fourth longest-serving manager in English football's top four divisions. Only Arsenal's Arsene Wenger, Exeter City's Paul Tisdale and MK Dons' Karl Robinson had been at their respective clubs longer. "We have been hugely impressed by Dean's work at Walsall and especially how he has managed to turn a club with such a low budget into one pushing for promotion," added Ankersen. "It is a similar challenge to the one Brentford face. We can't win by spending more money than our competitors so we have to identify competitive edges which will allow us to compete with clubs who enjoy much bigger budgets. "In that respect Dean is a great fit to Brentford FC." John Ward, Jon Whitney and Neil Cutler have been put in temporary charge of Walsall. A former centre-back, Smith made 166 appearances for Walsall before going on to play for Sheffield Wednesday, Leyton Orient, Hereford and Port Vale. He took over as Walsall boss when Chris Hutchings was sacked in January 2011, and last season he led the Saddlers to their first-ever appearance at Wembley, where they were beaten by Bristol City in the final of the Johnstone's Paint Trophy. Last month the League One club rejected an approach from Rotherham, who wanted to speak to him about their manager's job. Smith signed a new one-year rolling contract the following week but was targeted by Brentford after their talks with Swansea assistant manager Pep Clotet stalled. Walsall chairman Jeff Bonser said: "We categorically did not want him to leave this football club and did all we could to keep him at the helm. "